Summer, glorious summer. Not only is this a time of relaxation, but it’s also a great time to get ahead for next year. With that in mind, here’s a preview of a few offers and freebies that will be featured in the Learning® magazine Back-to-School issue. There’s no need to wait; you can check these out now—at a leisurely, summer-style pace, that is! Since 1987, the Ezra Jack Keats Foundation has awarded more than a half-million dollars in grants to public schools for creative children’s programs. Minigrants up to $500 have been given for bookmaking, pen-pal projects, art projects, and more. The deadline is September 15, 2009. Click here for more information! Inspire children to make healthy choices with the free games, science activities, lesson plans, worksheets, and more at www.LearntobeHealthy.org. Healthy Sprouts Awards assist schools in planting gardens to teach about nutrition and hunger. At least 15 children ages 3-18 must participate. Awards include gift certificates for gardening materials, seeds, nutrition lessons, and more. Applications are due October 17, 2009. Find details at www.kidsgardening.com/healthysprouts.asp. People up to age 25 are eligible for Do Something Grants of $500. The grants are to be used to start or continue sustainable community action projects. Recent projects include distributing joke books to hospital patients and holding bike rides to encourage alternatives to driving. Grants are awarded weekly. Apply at www.dosomething.org/grants. Step on over to the puzzle center! You can make and play different kinds of puzzles, including crosswords, word scrambles, anagrams, and secret codes. It’s all free at www.apte.com. Here’s hoping you have a relaxing and rejuvenating summer! Enjoy!!! Thank you for all the helpful suggestions. I twittered some of the links. Sent a link to a college student about the Do Something Grant and will pass the word puzzle generator to fellow educators. I’m looking forward to reading the Learning Magazine. 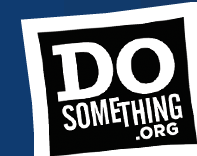 My daughter is in a service org at her college so I sent her the Do Something grant info. I am also looking into some of the other links and plan on signing up for Tools of the Trade as well…thanks for all the info!